In a saucepan, add the whole bottle of port and boil. Reduce the port by half until you have a thin syrup. Lay lamb chops and chicken thighs in separate baking pans. Season lamb chops and chicken thighs with salt and black pepper. When port has reduced, brush port over lamb and chicken. Allow it to sit 30 mins and brush port over them again. Allow it to sit another 30 mins. 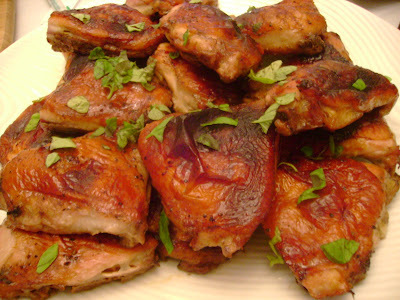 Bake marinated lamb and chicken in preheated oven for 25-30 minutes or until brown and caramelized. 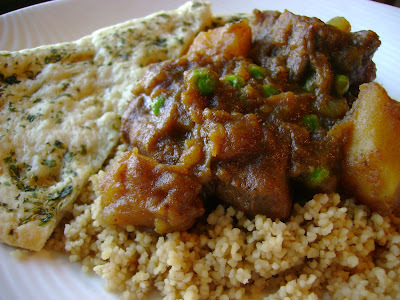 Top lamb with chopped fresh mint and top chicken with chopped fresh basil. 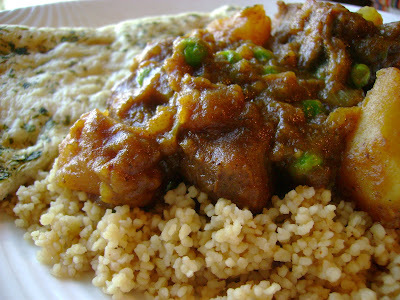 – In a small bowl, combine all ingredients except lamb. Mix well and apply to the lamb. Cover and marinate in the refrigerator overnight. – Preheat oven to 450 degrees F (230 degrees C). 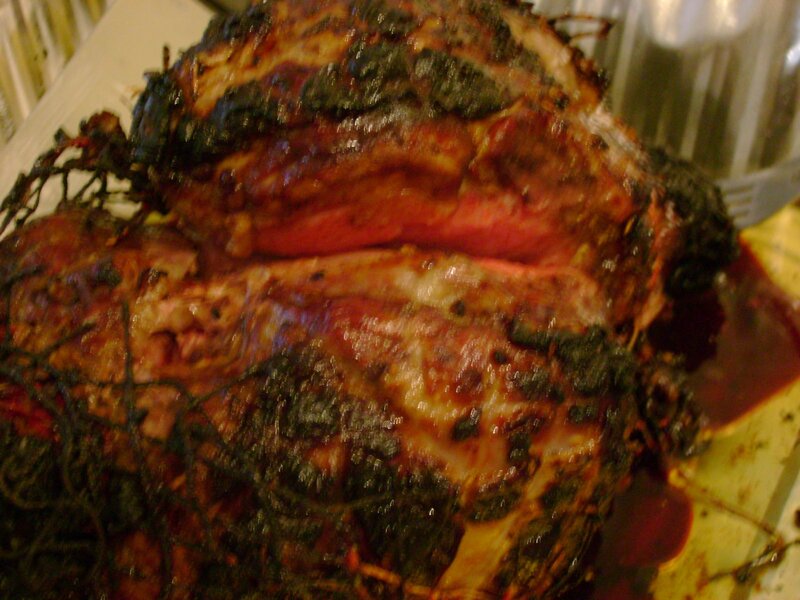 – Place lamb on a rack in a roasting pan and sprinkle with salt to taste. – Bake at 450 degrees F (230 degrees C) for 20 minutes, then reduce heat to 400 degrees F (200 degrees C) and roast for 55 to 60 more minutes for medium rare. The internal temperature should be at least 145 degrees F (63 degrees C) when taken with a meat thermometer. Let the roast rest for about 10 minutes before carving. 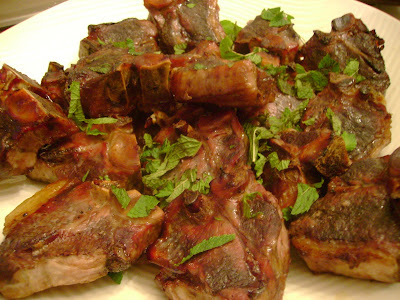 – Combine all the ingredients except the lamb chops to make a spread. Rub mixture on lamb chops and broil for 7-8 minutes.